Holiday Homes is the largest independent agent of mobile homes and park homes on the Costa Blanca Spain. 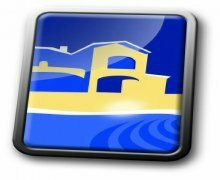 Also the largest independent long term rental agent on the Costa Blanca, with over 900 long term rental properties on their books. A family run business established in Spain since 2006 and trading in the UK since 1981. Holiday Homes offer a full sales and aftersales package for both buyers and sellers.